Episode 173 features an interview with Kenneth Irving about the work of Michel and Francoise Gauquelin, who conducted the largest statistical studies of timed birth charts in the 20th century, and claimed to have found scientific evidence for the validity of astrology. Their most famous and controversial finding was known as the Mars Effect, where eminent athletes and sports champions were found to have the planet Mars around the Ascendant and Midheaven in their birth charts more frequently than chance would allow. The Mars Effect became the subject of controversy when other scientific and skeptical groups successfully replicated the study, which led to debates over whether this indicated that some small piece of astrology might be valid, or whether the study was simply flawed. Kenneth Irving co-authored a book on the subject with a professor named Suitbert Ertel in 1996 titled The Tenacious Mars Effect. You can find out more info about Ken on his websites Planetos.org and Wordsandthings.com. Below you will find an extensive set of show notes containing the outline Chris prepared for the discussion, followed by links to download or stream the recording of this episode. This episode is available in both an audio and a video version below. Known to astrologers as statistician who claimed to find scientific evidence for astrology. 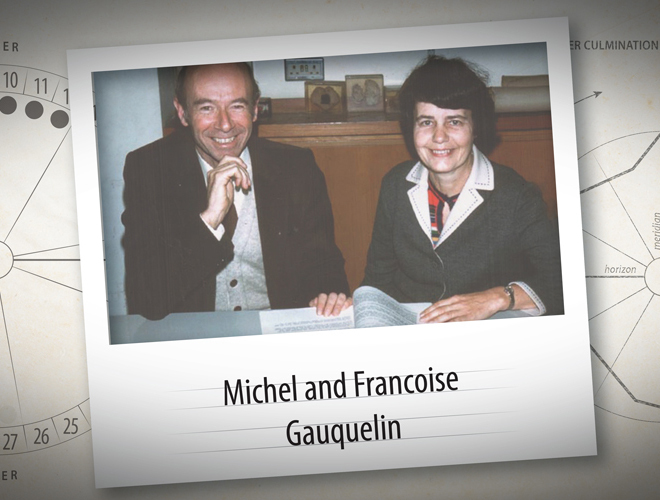 Worked with his partner Francoise Gauquelin (1929-2007) until separating in mid-80s. Conducted the largest statistical tests on astrology ever so far. 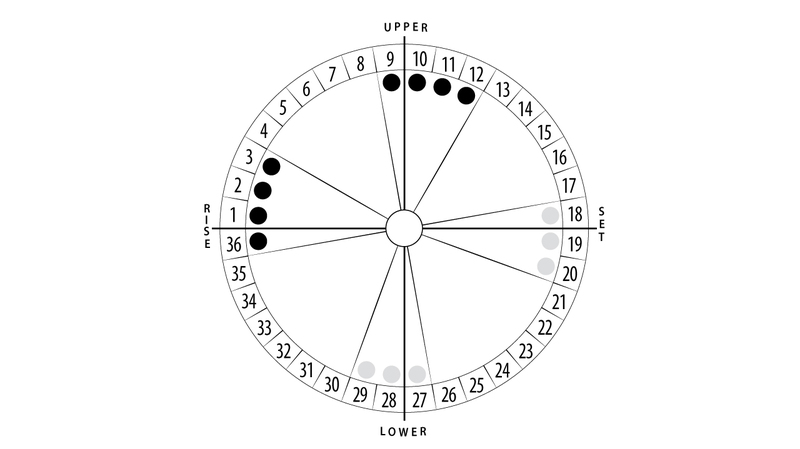 At least in terms of testing timed birth charts using large sample sizes. Published many books, with his data and conclusions from statistical studies. Became embroiled in conflict with scientific/skeptical community over replicating tests. Francoise retired a few years later, in 1997, and died in 2007. Ken wrote a book in 1996 titled The Tenacious Mars Effect with Suitbert Ertel. Myth: he was a skeptic who set out to debunk astrology. In reality he had an interest in astrology from a very early age. His thinking went through different stages though. His statistical studies made him skeptical of much of astrology. Michel’s early life and background in astrology in the early years. He was very widely read, and essentially did a literature review. Graduated from the Sorbonne with degree in statistics and psychology. Birth times are recorded and data is public record in France. This allowed them to collect and create a database of over 100,000 timed charts. They were the first to run large-scale statistical studies with large sample sizes. They also collected data from other European countries. Ran different statistical tests on the data, and published books with the results. Michel’s first book L’influence des astres published in 1955. His core finding was already in this book. Plus zones. While Francoise encouraged him to publish, this was before her involvement. While he did find some statistically significant correlations, they were sometimes/often not in alignment with what the astrological tradition said. Caused tensions with both the astrological and scientific communities. Towards the end of his life he advocated a new approach to astrology called Neo-Astrology. Proposed creating new tradition based only on that which had statistical evidence. 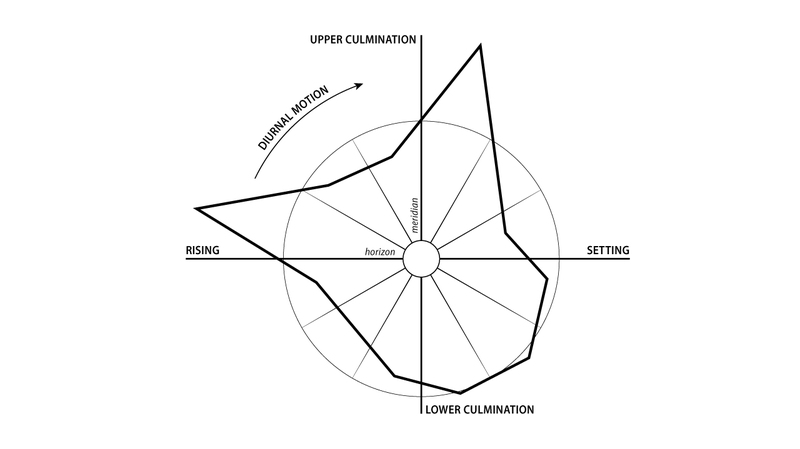 Rebuilding astrology from the ground up empirically, scientifically. Gauquelin’s most notable studies showed planets following angles correlating with vocation. The most famous and controversial of these was Mars correlation with athletes. He found correlations with other planets and professions as well though. If at all accurate then it would validate the basic premise of natal astrology. Positions of the planets at birth indicative of life that follows. Other groups tried to replicate his results with the Mars tests. Became known as the Mars effect. Mars following angles correlated with eminent athletes more than chance. 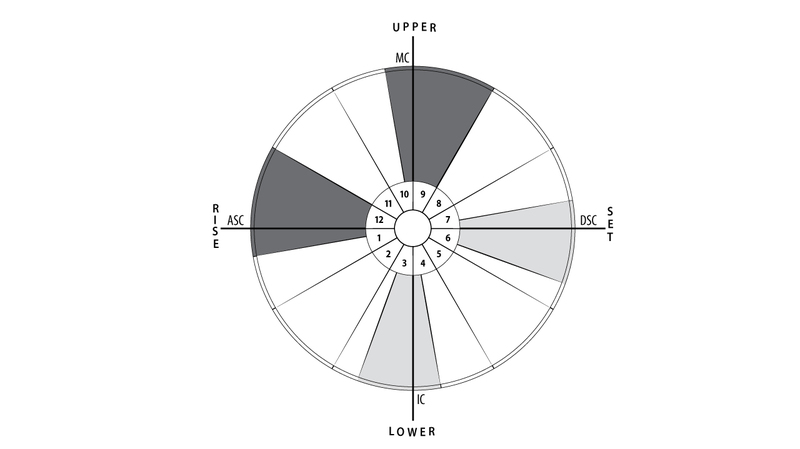 Diurnal rotation divided into 36 sectors. Not all athletes, but only or primarily eminent ones. Eminence factor known from very early on in his studies. Scientists/skeptics were slow to take up the task of testing his results. Eventually three did: groups from Belgium, US, and France. Scientific groups initially replicated Gauquelin’s results, much to their surprise. A second skeptical group then tried, and also replicated, much to their dismay. Initially kept the results secret, thinking they must be wrong. Coverup was later revealed in an expose by one of the group’s founders. sTARBABY by Dennis Rawlins published in 1981. Gauquelin accused of introducing bias into the results due to data selection. Factors like eminence became key in working the data. Mars wasn’t the only planet that they found correlations with though. How did he fund these studies? Michel and Francoise thought that the correlation had to do with character traits. People with those character traits more likely to achieve success in specific field. They did other studies with character traits and biographies. What were some other notable results that Gauquelin found/claimed? The three pillars: 1) profession, 2) heredity, and 3) character traits. Some plus zone placements also correlated with less likelihood at a profession. There was both a positive and negative effect. Moon low for sports champions. May correlate with traditional temperament schemes. Heredity: Parents with planets in plus zones more likely to have kids with the same planet in one of the four plus zones. Plus zones may not work for c-section births. Found no correlations with outer planets or zodiac. Gauquelin’s final book came out in 1991, and he committed suicide in the same year. Some of his work and debates surrounding it carried on after he died. Debates continued about the Mars Effect for a while. A German professor of psychology, Suitbert Ertel (1932-2017), continued researching the data. Initially skeptical, he came to see the results as valid. Attempted to encourage other scientists to take it more seriously. Analyzed and attempted to fix some of Gauquelin’s mistakes. Found only the profession correlation valid, not heredity or character. Gauquelin had moved away from heredity, but defended character. Ertel thought collection method for character had bias. Francoise continued the work until about 1997 before retiring, and died in 2007. Published the books Psychology of the Planets in 1982, and Problèmes de l’heure résolus pour le monde entier in 1987. Ran Astro-Psychological Problems magazine (1982-1995). It seems like much of the excitement surrounding scientific research died out in 90s. Went from a few decades where astrologers thought it was about to be validated. Other tests outside of Gauquelin failed, although sometimes they were poorly done. Astrologers began talking more about how science couldn’t validate astrology. E.g. Geoffrey Cornelius and The Moment of Astrology. Trying to explain the failures under the premise that attempts failed. How could astrology still work but not be demonstrable statistically? Some of this started already in Gauquelin’s lifetime and he lamented it. What is the lasting legacy of Gauquelin? What is the take home lesson for astrologers? Is the quest to validate astrology scientifically still a worthwhile quest? Is it a feasible quest? If so, what can we learn from Gauquelin to improve those efforts in the future? Ken: The issue with attempting to fit the results into traditional astrology, versus seeing them in their own light. When research provides negative answers it may be because we don’t understand how to ask the right questions. When research is successful, showing results that match our expectations in some respect, they are often, and at the same time, quite different from our expectations, and in ways we couldn’t anticipate. The Tenacious Mars Effect, Suitbert Ertel and Kenneth Irving, Urania Trust, London, 1996. Neo-Astrology: A Copernican Revolution, Michel Gauquelin, Penguin/Arkana, London/New York, 1991. Correlation: The Astrological Association Journal of Research in Astrology, vol. 31 (2), 2018. Fascinating podcast. Thank you. Has anyone ever looked at the 12th and 9th Mars predominance in the high achievers charts in these surveys to see if these placements correlate with Whole Sign 1st and 10th? Thank you, very interesting article by Patrick Watson. Worth a read.